Who doesn't love November? Come on…I think everyone must love November! There are the cooler temps…which I absolutely ADORE. There is Thanksgiving….a time for reflection and food. What is not to love, right? 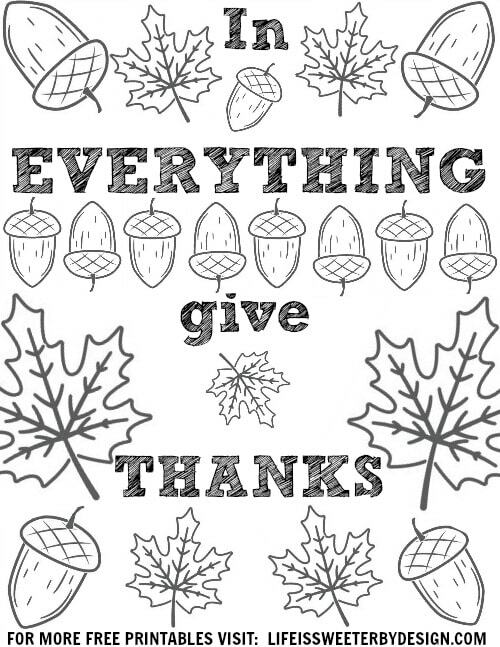 I think it is the perfect time for thinking about being thankful, grateful and blessed! Are these just words? I have so many days I take these 3 words for granted. I'm not as thankful as I should be. Rarely am I as grateful as I need to be. I know how blessed I am….but on those hard mommy days….I do forget. Really FOCUSING each day on being thankful, grateful and blessed is a priority for me. When I do focus on these three words…my whole attitude changes. My toddlers whining isn't as big a deal. My 10-year-old's constant questions don't drive me quite as crazy. I am a much better mom when these words are in the front of my mind. How about a little unwind time. 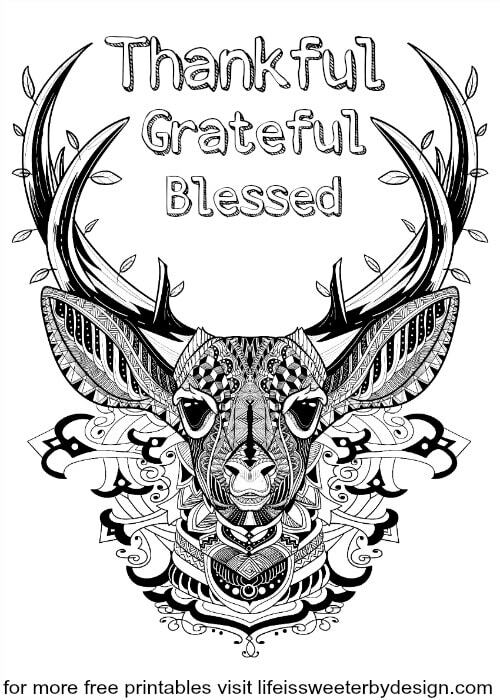 How about COLORING the words and a cute deer too! While you color…just let the words sink into your mind. Make a mental list of what you are thankful for. With each stroke of your colored pencil make a mental note of what you are grateful for. As your picture fills with color remind yourself of your many blessings. You may notice I am wearing a reminder too! 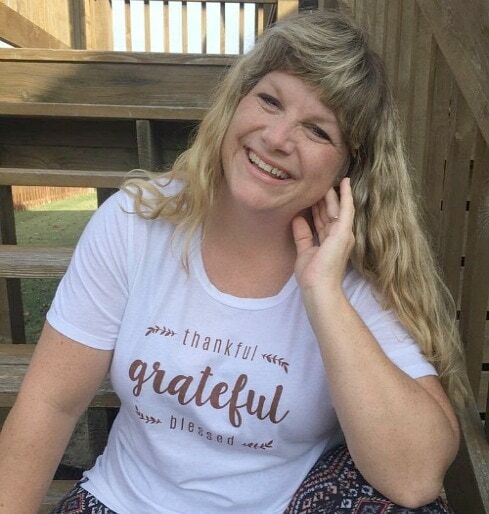 This shirt makes it easy for me to remember positive thinking each time I look in the mirror. I also get to help other people think about it when they see my shirt! Win-Win! You can get your own fun shirt at Cents of Style! 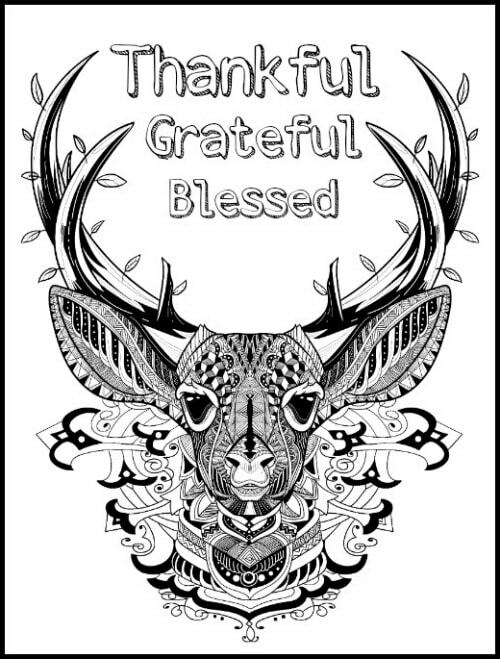 What has you thankful, grateful and blessed lately? I would love to hear about it!! Be sure to check out some other fun color pages too!